Some of the stained glass at the Visitor Center at Best Place carry the theme of early American history. 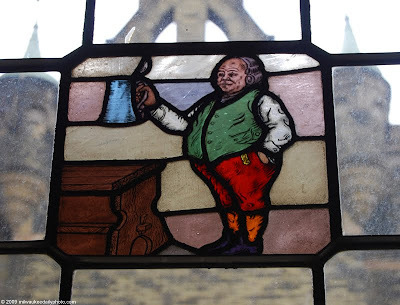 Today's photo appears to show Benjamin Franklin raising a tankard in toast. Very pretty! It actually looks like you're in Europe, even the building outside the window!